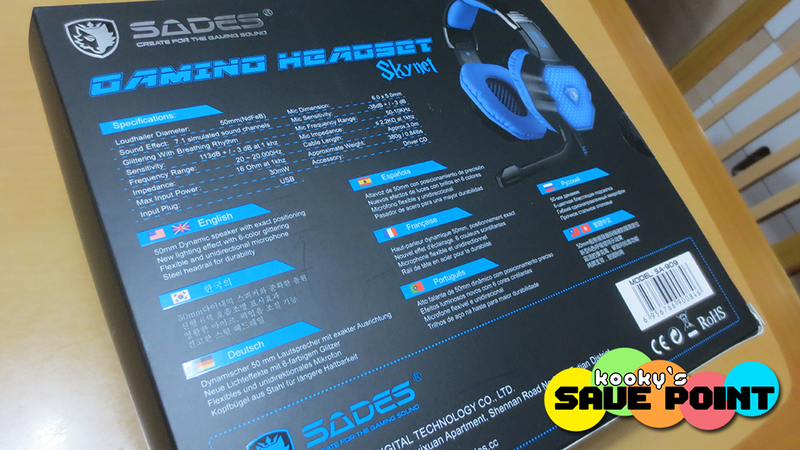 The SADES Skynet SA-909 gaming headset is priced at about US$45-50, and is sold locally in Hong Kong and on a few online retailers as well. Similar to many of the SADES headsets close to this price range, the Skynet headset features 7.1 virtual surround sound drivers, a 50mm speaker, and an in-line remote. It’s main feature, however, is what SADES calls “breathing lights.” In other words, lights on the outside of the earcups. The product description is now available in eight languages! Before we take a look at the headset itself, the brand new international packaging should be noted. Previously, SADES used boxes that were filled up mostly in Chinese, with the manuals and software within it being the same. This headset comes in only one color but the build quality of the Skynet is a lot better when compared to the previously reviewed SADES SA-903. Just running your hand on the sleek black plastic of the headset, you can already feel that the quality has gotten better. The plastic is tougher and the polish definitely looks a lot more attractive. With nine levels of headband, the headset provides a good variety to suit different headsizes, and this time the smallest size fit snugly on my head. The cushions are also softer and the cups clung very well to the side of my head, making for a very comfortable experience. The breathing lights, however, are a bit of letdown. Although the lights are vibrant and feature a number of colors, the headset gives very little customization and control to users — with the lights only changing based on only ONE pattern. Yes, the remote does have a button to turn them off, but there’s nothing else to it. I would’ve loved to have the ability to choose the light patterns, or to choose which color showed up. The installation of the software was still straightforward as ever: plug the headset in, run the installer from the CD, and follow the instructions on screen. With the new revamp, SADES has now updated their software with a brand new interface that gives users 17 languages to choose from. On first look, the new design looks a lot more professional with its sleek updated graphics. 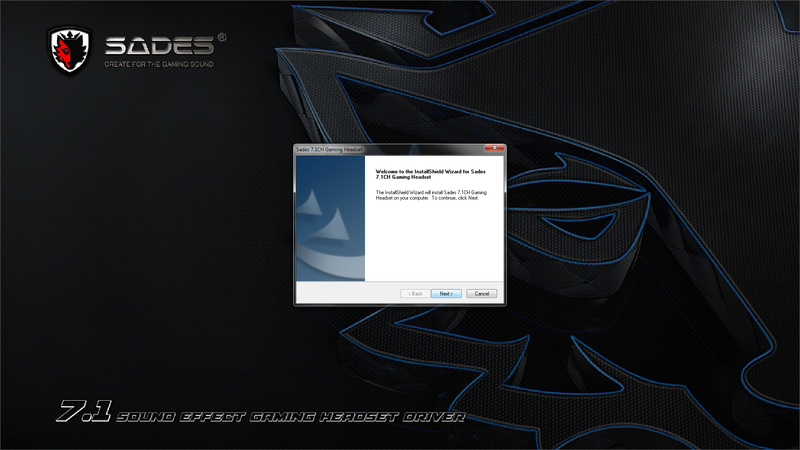 Unfortunately, in terms of the interface itself, SADES has actually taken a step back. In the software that came with the SA-903, the controls for all the audio enhancements and features were easily accessible within the software itself. However, the new interface only provides three pre-made profiles for users to choose from: HiFi, Music, and Movie — all of which didn’t particularly give the best of results for their prescribed use. It was overall not very user-friendly, as I had to do a lot of clicking around to figure out which areas could actually be tinkered with. 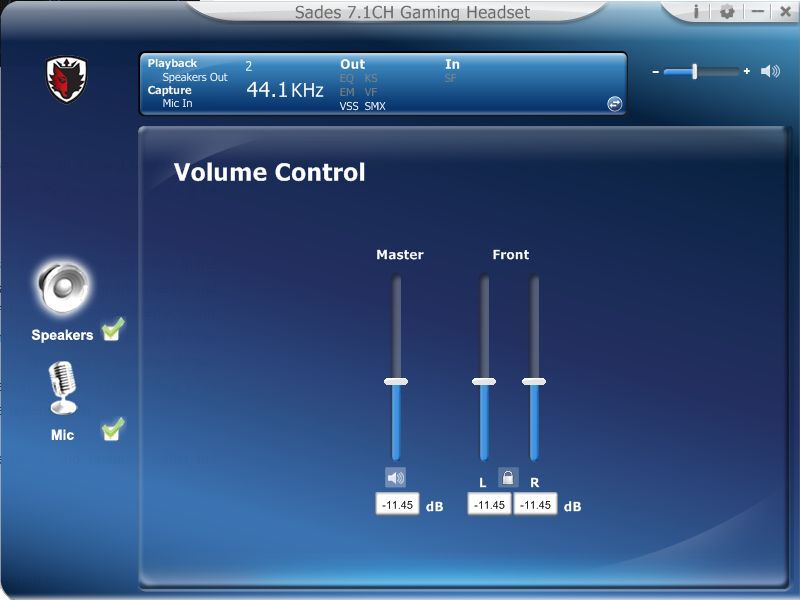 Full control to the settings is only accessible through the Sound setup menu available in the Control Panel. 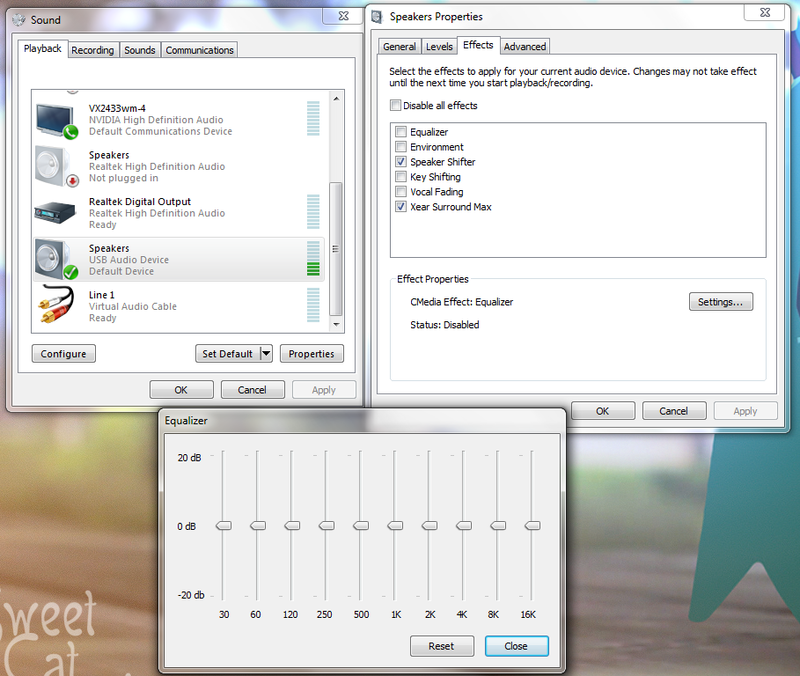 You can right-click on the headset and select “Properties” in the “Playback” tab to adjust output effects, or if you want to adjust input effects, you can do the same in the “Recording” tab. In regards to what comes out through the earcups, the Skynet headset is a lot more balanced in its sound. The highs are not too sharp, the mids could be improved but are generally okay, and the lows do not overwhelm the overall sound. With the 7.1 surround sound drivers enabled, the result is spectacular given the price. Most gaming headsets tend to overcompensate the lows in order to provide deeper gunshot sounds and rumbling, but the Skynet manages to bring in other details into the mix — creating a better gaming sound experience. The balance also provides for some pleasant music-listening. While testing it on a number of genres on my Spotify playlist, I was surprised at how versatile it was. I could listen to rock, pop, country, electronic, and so much more without experiencing any muddiness in the mix. Regrettably, the microphone is not as impressive. 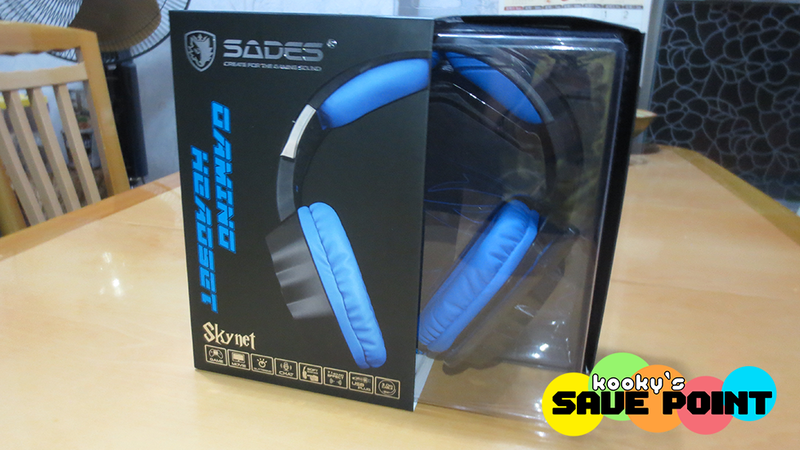 In all honesty, it seems like a downgrade from the SA-903 and also one of cheaper USB SADES headsets that I’ve tried. The problem with the volume is still present — it is still too soft even on maximum, unless the user enables a setting somewhere in the Sound setup menu. But consumers shouldn’t have to do this in the first place. The bigger letdown was the quality of the mic itself. It’s not as crisp as the SA-903, and is not angled close to the front of the user’s mouth. The result is a low quality sound that is derived from speaking louder than user should need to. 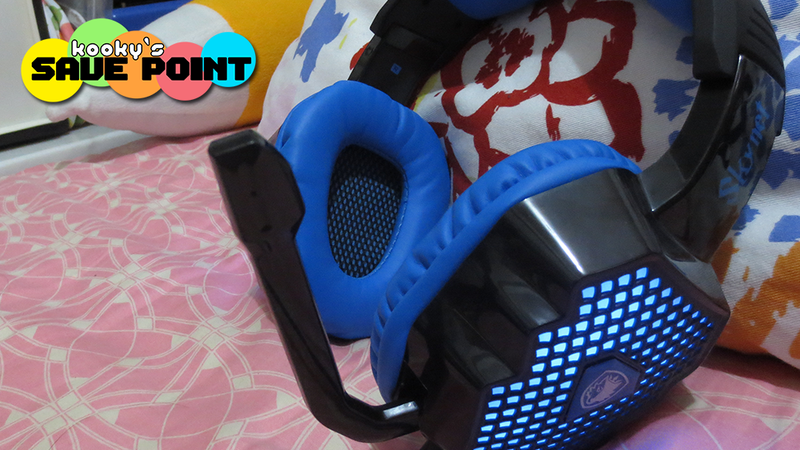 The Skynet is a comfortable headset that outputs a well-balanced sound that is suited for a variety of uses. 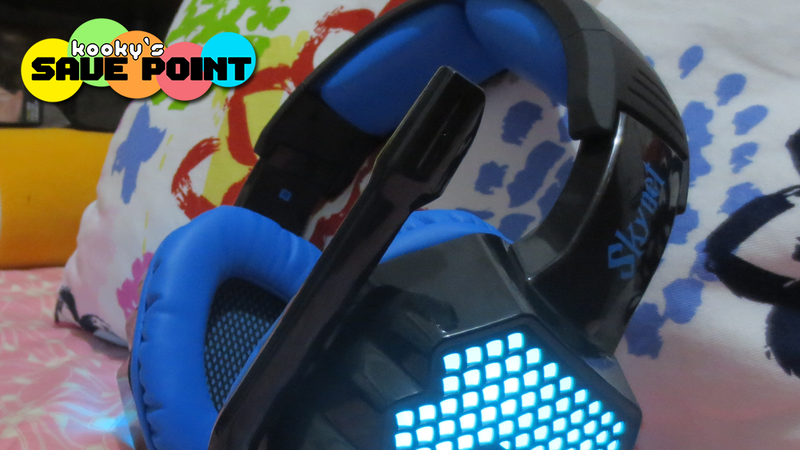 Gaming and music lovers alike will thoroughly enjoy this product. However, with the pricetag, I would have much rather preferred having a better microphone rather than the breathing lights. If they were to keep the breathing lights though, it would be much more preferable if there were controls that enabled users to choose the colors and/or patterns. As a result, if I were to recommend a headset to a friend on a budget, this wouldn’t be the first product that would come to mind as it wouldn’t provide the biggest bang for your buck. Regardless of this, the improvements that SADES have made in terms of branding are truly impressive. The updates in graphics, color-scheme, and overall product design are definitely a well-made investment to make their products seem more welcoming to the international market that they are now targeting. Kudos to SADES in that aspect! The ‘Breathing’ thing refers to the pattern. The colors fade in and fade out, sort of like inhaling and exhaling I guess. 7.1 surround sound isn’t a standard feature for all headsets if we’re talking about the headset market as a whole. I’ve seen Turtlebeach headsets at about the same price that don’t have this feature. 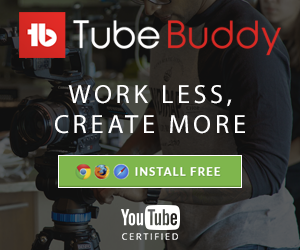 Can you upload this new Sades software please!? hey , i was looking for some review for that headset… be cause i just bought one , can u tell me if the microfone is okay for streaming or some gameplays on utube?